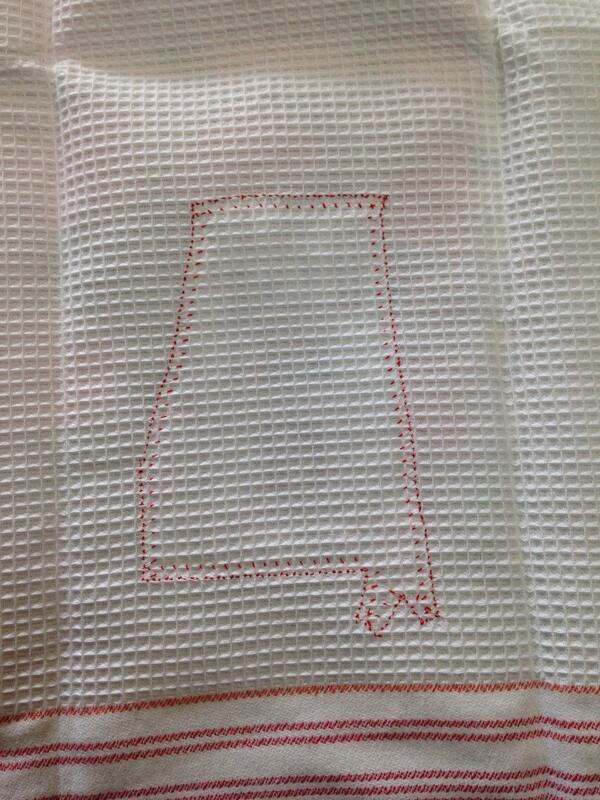 Tea towel with State of Alabama BBQ fabric sewn on the front. This tea towel is perfect for the Bama fan in your house! 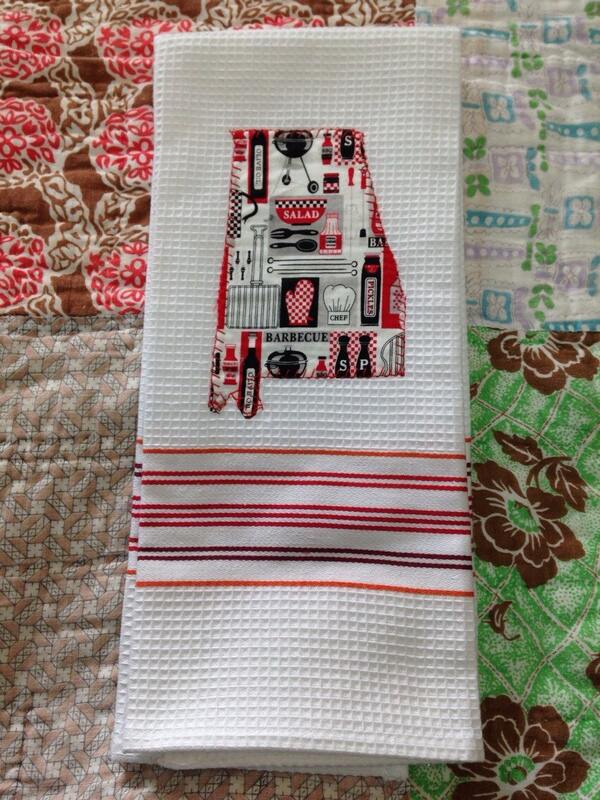 The towel is made by kaleidoscopes designs located here in Tuscaloosa. 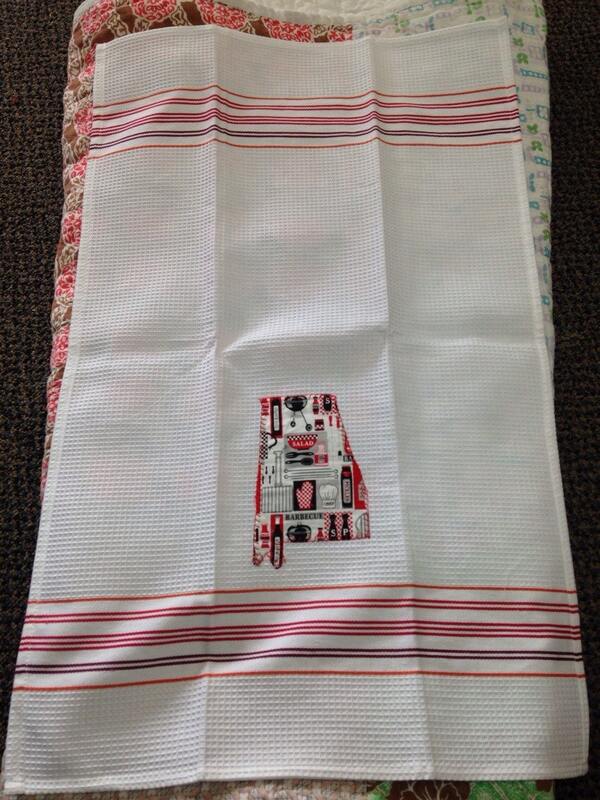 It is 100% cotton and when open measures 29x18 inches. 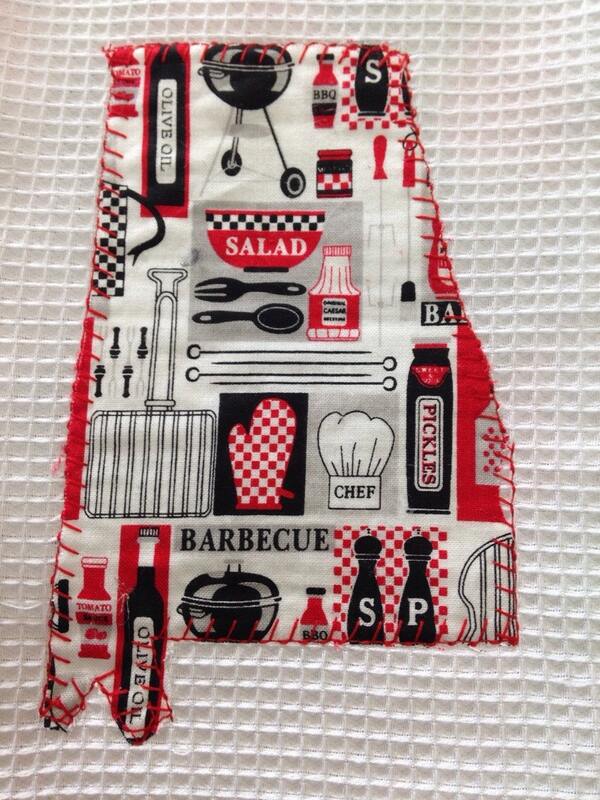 The state on the front has a BBQ themed fabric and measures 6x4 inches. 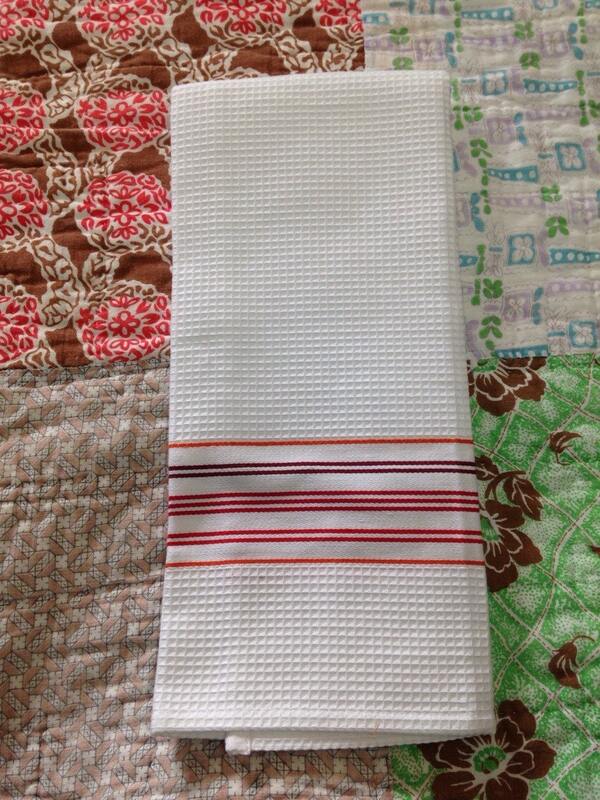 The stripes on the bottom are burnt orange, red and maroon. If you would like this shipped outside the country just email me!